It finally happened. No more group reports, late-night studies and stressful exams. You are done and soon to be graduated. Congratulations! You can officially relax and have fun choosing what to wear to your graduation and the after parties. Graduation ceremony is a milestone and an event to remember. Even if you are not the number one fan of formal clothing we still suggest to wear suit and a tie under your academic dress. It’s safe to assume your friends and family will want to make tons of photos of you on the big day, so treat the camera with your best look. In case your school takes the dress code lightly, you can skip the jacket and downgrade to a pair of dress pants (black, dark brown, navy or khaki) and button-down light shirt. When searching for an attire, keep in mind the weather. Due to the season it will probably be warm and sunny, you might want to consider spring suits of lightweight materials. Depending on the color of your suit or trousers, wear black to light brown dress shoes. Make sure your pants are hemmed properly and fall just above the top of your shoes. Also don’t forget that socks should match the colour of footwear. Now let’s proceed to parties. 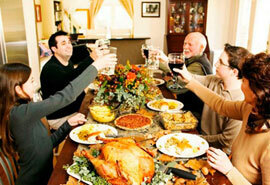 The post graduation events can vary greatly from casual to very formal. If the dress code wasn’t mentioned on the invitation you may ask the host what do they plan to wear and dress accordingly. If you don’t have time to change after the graduation event, simply take the jacket and tie off and slightly roll up the sleeves of your shirt. You’ll look more casual yet rather fancy. If there is enough time to alter your attire, you might want to change the shirt. Both long and short sleeve short will do. If you know the party will mainly happen outside, put on a polo instead of a shirt. Chinos or jeans are usually appropriate. We like the idea of black, dark grey or white color. Try to avoid classic denim wash of jeans if possible, they tend to look boring. Are you brave enough to wear a fedora hat? Go for it if you are looking for an extravagant touch. 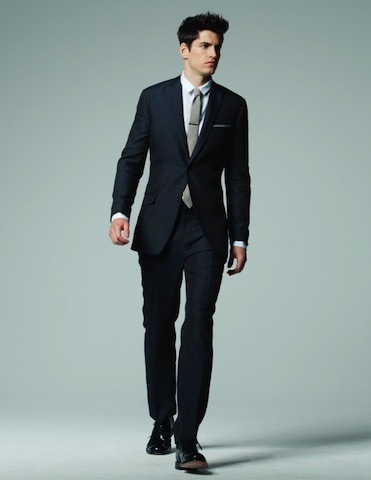 Do you have more questions about men attire for graduation events? Or maybe we forgot to mention something important? Come talk with us! Leave a message below! Alona is the co-founder of Etiquette Tips – an online magazine that features articles on business etiquette, communication, dress code, table manners, international code of behaviour, gift giving, events & celebrations and more. Hi! Is it okay to use bow tie on graduation? 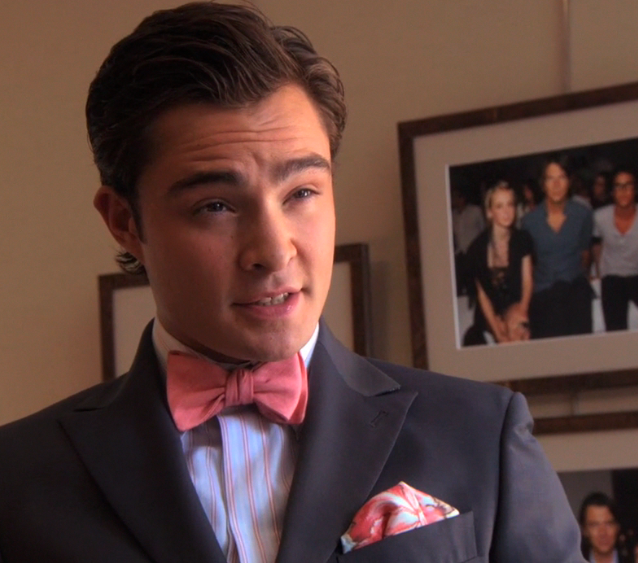 What’s the best color of the bow tie? Bow tie can be a great idea! The colour of your tie depends on the rest of the outfit. If you wear a dinner suit (tuxedo) the bow tie should match the colour of the cummerbund (see the photo) otherwise – choose a tie that you feel complements your look the most. Here are couple of examples: striped bow tie, or maybe a yellow bow tie; you might want to consider pastel pink bow tie or even a white bow tie look. Have a great graduation day! One last question, is it okay not to use a tuxedo? just a plain long sleeves and a bow tie? Absolutely! bow ties can look great with long or three-quarter sleeve shirts too! Please let us know if you have other questions! Thank you for your question! The outfit you described sounds like a great choice. In general the bow tie is a perfect solution if you’d like to highlight your personality. It’s an extra touch that will give your look the exquisite feel. We would also suggest wearing a lower-buttoning jacket rather than one with a higher placket. It will give you a longer silhouette. Hopefully this helps! Have a great time at the graduation and let us know if you have other questions! Hello Ms.Alona my graudation is this coming friday, i was wondering what to wear a bow tie or tie? And do i have to wear vest inside a coat? Thankyou so much & GodBless! Hello Ben! Thank you for your question. The set you describe sounds wonderful; grey color suit is a perfect summer choice! Hi, today is my friend’s graduation and I’m wondering if it’s compulsory for me to wear a black blazer, can i wear a sky blue blazer? Blue blazer is a great choice unless there is some kind of a very strict dress code. Have a great time at the graduation event! Is it appropriate to wear a tuxedo (dinner suit), along with a dressed shirt and bow tie a graduation ceremony under your gown? Hi Scott! Thank you for your question, – it’s absolutely fine to wear a tuxedo under your graduation gown! Should I wear a tux to my graduation dinner with classic style? But most of they people will be wearing suit. Should I follow them or wear a tux? Is it alright to wear magenta shirt and contrasting light magenta tie under suit for graduation? 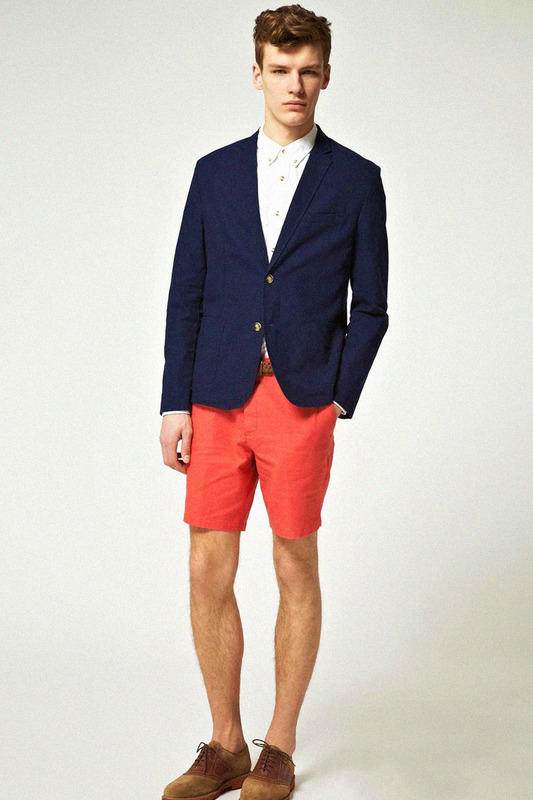 Hi my son wants to wear a Navy blazer, white shirt and coral linen dress shorts for his grade 8 grad… Is this appropriate? He says he wants to stand out. Hello Joy! Thank you for your question! Just to clarify that we understood you correctly: do you mean your son wants to dress like this to the graduation party? Although it is sure a stylish look, we suggest him to wear long pants instead. Please remember, that shorts are a casual piece of menswear and it is not appropriate to wear shorts to a formal event such as graduation. He can wear shorts to a private party with friends and family, if the weather is hot. Hope this helps. Please do not hesitate to ask more questions.